LONDON: according to new study,one in six smartphones & tablets device users have fallen to cyber attack. In the study they found 60% of smartphones users & half of tablet users are valnerable to hacking. 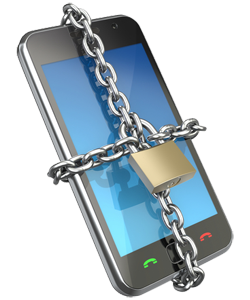 these smartphones and tablets device users are not using malicious software with no protection. these can be anything from phishing email,then the result in a fraudster taking over an online account to "session hijackingg" attacks,Yorkshire post reported. Actualy many smartphones & table users have no protection against "malware". the software designed specifically to damage or disrupt a system.this is despite nearly half of people uses their device for internet banking and one in three for online shopping. This year has proved a point for smartphones and tablets said Ori Eisen of experian ,a global information services company that published the study.